It's been a while since I've written my blog. I hope you had a great holiday and that the New Year is starting out well. Lots of changes are here with more coming, and I hope they work to your benefit. 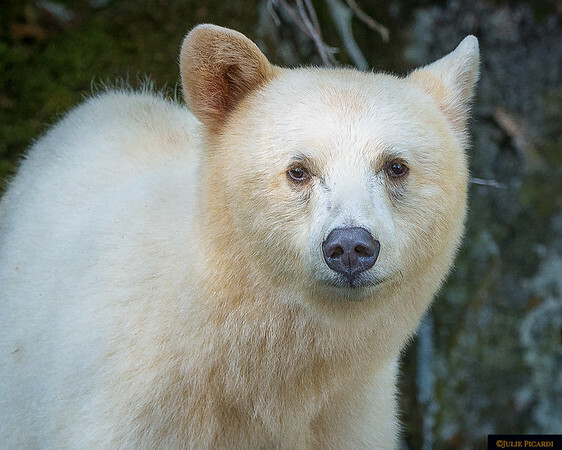 The last time I blogged, I mentioned my article about the Spirit Bear being published in Travel Post Monthly. I have more good news - my article has been accepted by SOAR, the in-flight magazine for Pacific Coastal Airlines! I'm excited beyond belief of course. I submitted by final draft and invoice just yesterday. The editor believes it will be published this spring or summer...WooHoo!! I'll keep you up to date on that bit of news when it transpires. Hopefully I will receive a notice when my words appear in print - and maybe some of my photos as well. Fingers crossed!! On another note, Jim and I both submitted photos to the Denver National Audubon Contest as we do every year. It's for a great cause, promoting wildlife all over the world, and it keeps us motivated to stay behind the camera and photograph these wonderful animals we see. This year there were over 1800 entries from 22 countries and 26 states. We were excited to have several photos selected in the top finalist category, but we were THRILLED to each have a photo selected for the Top 250 category! Our dedication to the art and perseverance is paying off. But it gets even better. We were selected to deliver a short presentation at the Sixth Annual Share the View Photo Gala last night at the Denver Wildlife Center. Not only were two of our top photos featured on the big screen with others in the finalists and Top 250 categories, but we were allowed to submit 10 additional photos to show during our verbal presentation. Now, any of you who know my husband know he has the gift of gab. Tthe man can talk about anything at any time, hardly taking a breath and delivering a feast instead of a hamburger. But me?? I'm the quiet mouse - I haven't spoken publicly since my mandatory college Introduction to Speech class. But I couldn't let my introverted self rule, I HAD to do this! And so I began writing my little speech first on paper, then on note cards. Next came practice, alone, with a timer, in front of the mirror, in my car, wherever and whenever I could concentrate without any audience (including Jim) present. I think Jim chuckled at my preparations, especially when he saw my notecards. But I was READY! We arrive, and I find out that our time is not 3 minutes each...it is 3 minutes TOTAL! Oh heavens. I have a few minutes before the presentation started to quickly review my notecards and mentally scrap what is totally unnecessary. I also realize that we have to hold the microphone! How am I going to hold the mike in one hand, hold the clicker to advance the slides in the other hand and manage to shuffle my notes as well? We were the sixth presentation out of 10, right in the middle of the bunch. As the first presenter speaks, I'm thinking, "I can do this!". The next speaker is up, and I still have my confidence. By the time the speaker sitting to my right is giving his presentation, I'm feeling quite nervous. As I rise to walk to the podium, I tell my legs to stop shaking, I will my voice to perform, and I beg my entire body not to disappear into the blackness of the floor. I'm handed the mike, and I begin. All is going well. It's time to shuffle the notecards but that is just impossible. I'm proud that I can remember to advance the slides with the clicker and mentally I congratulate myself on this feat. My mouth is dry and my voice wants to fade and crack but finds some ability to xxxx. All of a sudden I'm terribly HOT! PLEASE let this hot flash subside..QUICKLY! I try not to dwell on the fact that my inner temperature is raging, and that the body heat is competing for my brain's energy. But hey...I'm still doing fairly well remembering the information I want to convey to the audience. Then I realize I must be WAY over my 1 1/2 minutes. Speeding my brain connections, I attempt to bring my part to a conclusion, but now my tongue will not work! Or is it my brain? I don't know but the connection is severed like a compound fracture. OK, just a few more seconds, get the words out and hand over the mike without falling to the floor. Did I finish? I must have because in one step, Jim is at my side reaching for the mike and I happily hand it over, hoping the the audience doesn't notice my shaking. Whew! It's over! I silently plead with my legs to sustain my balance just a few minutes more while Jim brings our story to its close. I stand behind and to the side of this man, watching him speak effortlessly, using his free hand to demonstrate his points, knowing he is under pressure because of my overuse of time. Yet Mr. Silver Tongue elaborates on his points and brings our presentation to closure. All total, instead of 3 minutes, we probably used 5 or 6, but with the slow motion effect ongoing in my brain, it seemed more like 20. It was a bit painful to make these mistakes, but I gleaned invaluable experience. I'm so glad I answered YES! when asked to do this. Advocating for our wild animals and wild spaces is so very important to me, and I hope to present our story again, and maybe the next time, my inner psych will be under better control.